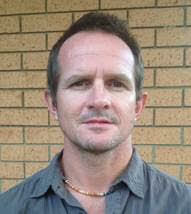 Guest Bio: Anthony Flynn is 40 years old, based in Sydney, a proud father of a 2 year old and partner of a 41 year old. He is passionate about fitness and health, into multi-sport adventure races and civil society, social action. He is a registered nurse, have a postgraduate diploma and specialise in critical care, emergency department nursing. He also has a Masters Degree in Social Sciences, majoring in International Development. He has been working at the Asthma Foundation since 2014, as a Senior Program Manager of Information and Education programs and now with the merged entity of Asthma Foundation Queensland and New South Wales, as General Manager of Programs and Information Services. He is also a Board Director with Medecins Sans Frontieres, Australia. His key responsibilities here are to support the strategic development of the organisation as itself supports critical humanitarian responses around the world. Segment overview: In today’s Health Supplier Segment, we welcome General Manager – Programs and Info Services of the Asthma Foundation Queensland and New South Wales Anthony Flynn who is here to share their organization’s brief background and updates on their various activities. They run community education programs, provide information, education and support to people with asthma via our 1800 Helpline and advocate widely on behalf of people with asthma via public advocacy campaigns and investment in research. When treatment is required, they ensure patients and their carers have the skills, information and power to be actively engaged in the decision making process. They fund vital basic science and population health research contributing to national and international understandings of asthma and how best to manage the disease. Wayne Bucklar: You’re listening to Health Professional Radio. My name is Wayne Bucklar and my guest today joins me from Sydney in Australia. Anthony Flynn is the General Manager Programs and Information Services of Asthma Foundation, Queensland and New South Wales. Anthony welcome to Health Professional Radio. Anthony Flynn: Thanks Wayne. Thanks for having me. W: Now Anthony, I guess many people have some view about what the Asthma Foundation does, but fill us in. What is it that your really do and what geographic area do you service? A: The Asthma Foundation of Queensland and New South Wales now, which is the product as the recent merger of the two states’ Foundation basically sees itself as the voice for consumers, for regular people in the community with asthma, who are taking the changes around how they best self-manage and how they look after each other around asthma. So what that means, what that boils down to for us is I guess we do three things. We essentially, we deliver education and training programs to people who are directly involved in looking after other people with asthma. We provide a telephone based information, education and support service via what we call the 1800 helpline. And that in the group of asthma educated who take calls from anybody who has an asthma related question, and help them through what might be a self-management question on how to use the device or how to understand the medication or the treatment better to anyone from the health professional community who might have a question around how to best construct an asthma action plan. And then thirdly we consider us as civilians ourselves the voice of people with asthma. So we engage in advocacy campaigns on behalf of people with asthma to hopefully improve the environment for people with asthma in the community, as well as investing a lot of time and some finance in research for looking at everything from what the biological basis of asthma and trying to find some … towards curing the disease or finding more definitive treatments all the way to researching the challenges that people face in respect to accessing asthma medications and balancing those challenges with the other challenges in their household to be sure that they have the best access to medications when they need it for their asthma management. So that basically sums up the three areas that we prioritize and the way we consider our role to look for the community with people with asthma. We work, our jurisdiction in New South Wales and Queensland, so we give interactions with people from around the world who chat into our website and look at the resources and upload some of the resources we have available to help them in their respective communities looking after the people with asthma. W: Anthony thank you for that. I noticed on your website you’ve got some facts about asthma and many of our listeners are clinicians of one kind or another and you kind of assume that they would be aware of the extends of this, but just for those people who are not clinicians or for whom the figures are faded away can you fill us in a little bit about the scope and size of the asthma problem in Australia? A: Yeah I’d be happy to, thanks Wayne. So well the first figure that’s important to acknowledge is that asthma affects 10% of Australians and that figure puts us as the highest or one of two highest prevalent counties in the developed world and that’s I think telling in itself as to the extent the challenges that we’re facing and the reason the Asthma Foundation has a role to play. Third, it affects indigenous Australians, Aboriginal and Torres Strait Islander people 3.8 almost four times more than it does non-indigenous Australians. And they have two and half times worst the outcome as a result of asthma in non-indigenous Australian as well. So it’s something that we’d really like to have an impact on us as well and quite obviously. Asthma is the leading cause of hospitalization for children, children especially aged between 5 and 14 years and it’s the leading causes of burden of disease for children and that age group as well. It’s the fourth leading cause amongst all chronic illnesses of quality of life disruption in Australia both people who experience asthma symptoms and asthma complications, needs to stay home from work, needs to stay home from school, needs to stay at home to look after their loved ones. And it has an obvious impact on their quality of life and other things like earning capacity and so on. It’s the worst, it’s a disease that affects low socio-economic groups worst than others as well. And I mean the most recent economic report that was commissioned by the Asthma Australia I’m sorry, the National Asthma Council through the law economic revealed or estimated that the burden of disease as a result of asthma is $24 Billion per year to the Australian economy. That means that the life, that the use of life lost due to asthma, as well as the use of life affected by the disabilities and their complication of asthma equate to that astounding figure for the community of Australia. So there’s some big figure of high levels if you fix for it, to appreciate. W: Yeah I guess it’s easy from a person sitting on the outside who’s not affected by asthma and doesn’t have asthma in the family at all, to go “Well it’s a simple thing, you take a puff and you get on with your life.” But I noticed here in your statistic approximately 400,000 Australians die from asthma, that’s a much higher figure than I would have thought. A: Yeah that’s great and it’s great that you acknowledge that Wayne. And we agree that’s a higher figure than what we think it’s necessary to die from asthma. It is, that’s a misconception that “I have asthma and I take my puff in it and it relieves symptoms.” Actually probably the single biggest challenge we face at the moment in asthma management is to get people to understand the importance of using their preventive medication. So there’s difference to their puffer as you would call it the “blue puffer” as we’ve always known and felt to be synonymous with asthma control. The preventive medication comes in variety of colors, so we won’t refer the color but it’s an inhaled corticosteroid typically and it’s the medication that keeps the symptoms at bay, reduces all of the inflammation, the swelling, the mucus production that leads to the symptoms of asthma that enables people to well, as I said to not experience the symptoms and maintain good control of their asthma. And recent statistics produced and research produced via friends from the Woolcock Institute in the University of Sydney revealed that of all the people that should be taking their preventive medication as indicated by their clinical condition and according to the treatment guidelines, up to 90% are not taking it or taking it 50% or less of the time. So we’ve got a real challenge here and another huge role for the Asthma Foundation to start to engage with people and understand the challenges that they face with taking their preventive medication and work on strategies with them to improve that preventive medication adherence. And I guess if we sweep that statistic around so 10% rather than 90% or even half it, then I’m sure we’re goanna have we’re gonna see a substantial improvement in mortality as a result of asthma and all of those other quite self-evidence statistics that are referred to it as well. W: You’re listening to Health Professional Radio, my name is Wayne Bucklar and I’m in conversation with Anthony Flynn, the general manager programs and information services of Asthma Foundation Queensland and New South Wales. Anthony as you probably know most of our listeners, we think about 95% of them are clinicians of one kind or another, we get a lot of people in both in hospital and in aged care listening to the program, because we’re such a fine and splendid source of clinical information. And because we don’t play any rap music, but any way enough of that. For those clinicians listening Anthony is there a take away message for them today as a result of having heard you on Health Professional Radio? A: Yeah I think there are a couple of take home messages. One is the challenge of asthma is by all means being solved in Australia and we need to continue to look deep into what we’re doing at our local level, on an individual level in respect to empowering our patients to better look after their asthma so that they suffer less complications and less risk of bad outcome. And in doing that and they can do that by using the Australian Asthma Handbook developed by the National Asthma Council also colleagues in the industry which is really the world’s leading reference documents that explains and really sets out the best treatment protocols for people with asthma in Australia. So that’s probably the number one take home message. Number two would be to look at step back a little bit and looking at a population level situation and looking and asking the community to look for opportunities to work with each other and work with the Asthma Foundations across the country to tackle these challenging issues for example of defective self-management which is a function of preventive medication adherence, so that we can start to understand a little bit better than narrative around people’s experience looking after their asthma. And develop more adaptive strategies together in a multiple pronged approach using the best experienced as a knowledge and skills of organizations like the Asthma Foundation and healthcare providers in the community and at more kind of organizational level so that we speak a little bit more coherently to people with asthma and they actually are take on and are empowered to be better self-managers. W: And Anthony my favorite question in every interview is about misconceptions, because generally there are misconceptions in every workplace and industry and endeavor. Is there a misconceptions amongst your clients, patients, clinicians, that keep you awake at night? A: It’s a good question, thanks Wayne. The greatest misconception that keeps us all awake at night is that asthma is a problem that’s been solved like I referred to earlier. And it clearly isn’t, the economic statistic tell us that it’s not the individual patient contact experiences in conversations that we have over the phone which….2012 of the year tell us that it’s not people with asthma who suffer symptoms, who experience complications, can’t breathe properly, and if that’s not a strong enough motivator for us to put all of those high level statistics together and to make sense of what it means also to the people, then I don’t know what is and I think that it should galvanize us all to do, to see what we can do to work with each around the Foundation to improve those situations, those outcomes for people with asthma. W: Thank you for that Anthony. For people who want to know more, I wonder if you could give us the website and maybe your 1800 number as well? A: Sure so the website address is www.asthmaaustralia.org.au. And when you go to the website you can select your location from a menu on top of the homepage, and that will give you some local information. But it will give you access to quality controlled resources, you’re respected of where you’re joining from. And our 1800 number if you want to talk to somebody about asthma, if you know somebody who needs help with their asthma, it’s 1800 ASTHMA which is 1800 278 462. W: Thank you very much for that. And Anthony thank you very much for joining us today on Health Professional Radio. A: It’s a pleasure Wayne. Thanks for inviting me. 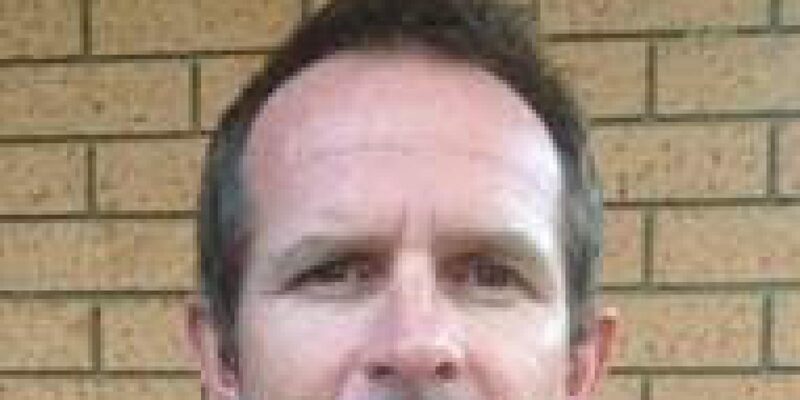 W: If you just missed my conversation with Anthony Flynn, the General Manager Programs and Information Services of Asthma Foundation Queensland and New South Wales, then the good news is we have a transcript on our website. And we also have an audio archive of the interview both on YouTube and SoundCloud so you can catch up with all of those resources at our website at www.hpr.fm. Thank you for listening to Health Professional Radio, my name is Wayne Bucklar.